A feeling of gratitude is expressed out into the universe when we work in tune with nature. 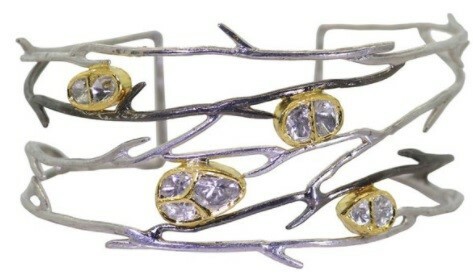 Inspired by this feeling, reflected in her designs, Neeta Gupta creates artistic yet naturally stunting jewelry. Her creative fusions of pearls, along with immaculately cut & polished diamonds, other gemstones, set in 18k gold & sterling silver deliver a timeless elegance. 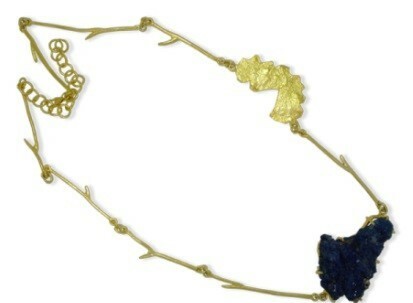 These fashionable pieces of adornment, are truly works of art. And art is meant to be displayed if only to make people feel something. Elegance is redefined with this bracelet, consisting of sliced diamonds set in 18 karat gold, placed on a blackened & polished silver net dome. Freshwater Baroque pearl, revealing in itself the twist of nature, dangling on a chain mixed necklace, of silver, blackened silver and gold plated silver. 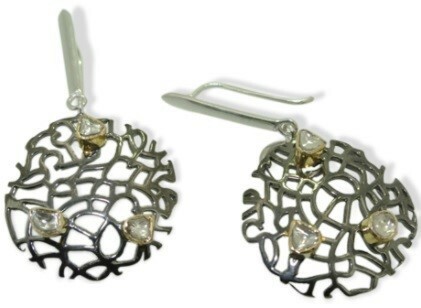 On a blackened silver net, rests sliced diamonds set in 18 karat gold, with a silver hook to dangle near your earlobe. 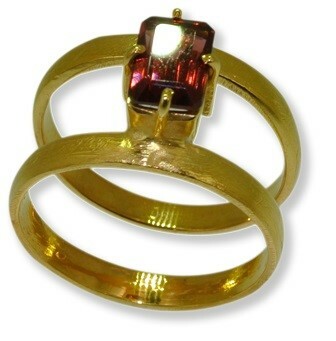 A cherry red ruby placed over two 18 karat gold rings, with this gracing your fingers, painting the town red should be easy. 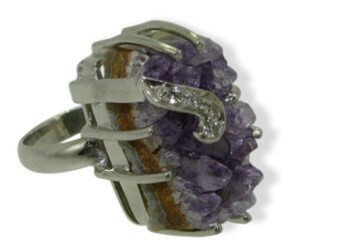 Crude cut Amethyst and diamonds, complement each other on this stunning silver ring. 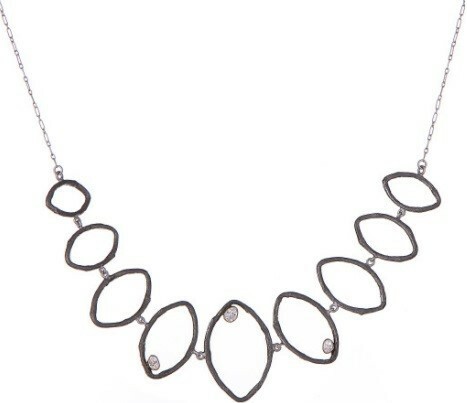 Special cut sliced diamonds set in sterling silver, each of these neck pieces reflect a delicate sophistication, perfect for a romantic evening. 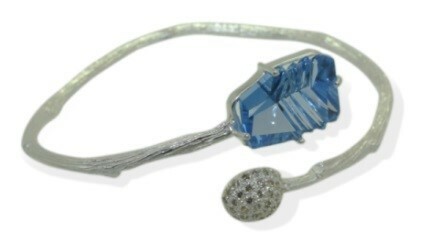 With its contemporary cut blue topaz set in a branch style bracelet with a dome of diamonds to complete it, with this sparkler on your wrist, one is sure to feel like a princess every night. 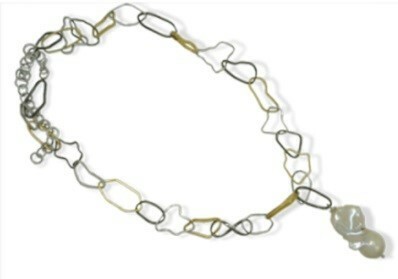 These contrasting pieces of jewelry speak volumes for the flair of their designer’s work. Each of her ornaments is inspired by the natural form, of stones and pearls with irregularities, discolouration, all accepted by nature. Each embellishment, every jewel on the designs is placed with great care, to create the balance found in nature. Neeta Gupta’s work speaks of a pureness, obtained only when one can channel the tranquillity of Mother Nature.